Sew what's cooking with Joan! 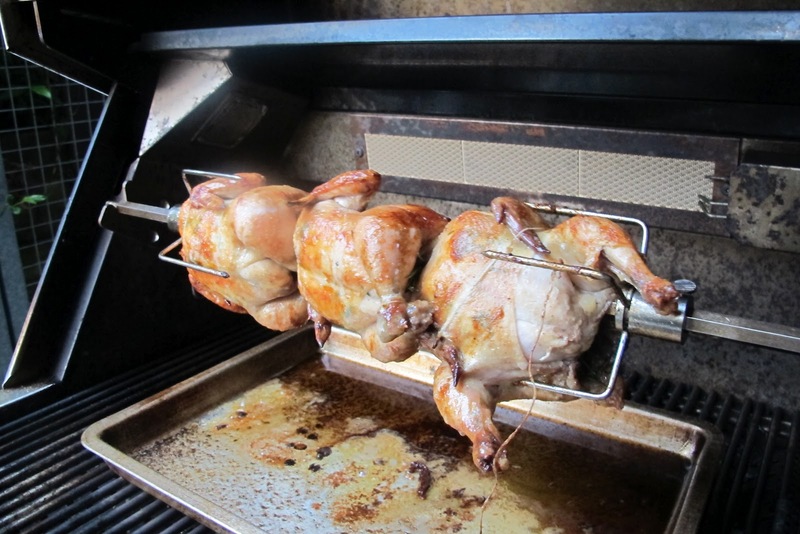 : Cornish game hens on the rotisserie! Happy 6 month Birthday!! Tomorrow my baby blog is 6 months old! Thanks to you, my viewers, it is very successful!! My twitter followers are over 5000 and Goggle followers are almost 300, many come in through my Facebook page and Pinterest and other search engines. My largest following is the United States, but I have a heavy following from Germany, the UK, Russia, Canada, Ukraine and Asian countries. I added the language translator and was put on the Asian Goggle, as I had so many requests from all over the world. As I watched the opening ceremonies of the Olympics, I saw many tiny countries, that I had no idea where they were, who view my blog!! It is very exciting!! I am in every continent (except Antarctica)!! Thank you! I am working on more conveniences for my viewers and hope to implement them by Summer's end! You guys ROCK!! You know how much I love to use my barbeque and my rotisserie unit. I am hoping I can convince you how easy it is and you will drag yours out, wipe off the cob webs and do this!! It is easy! 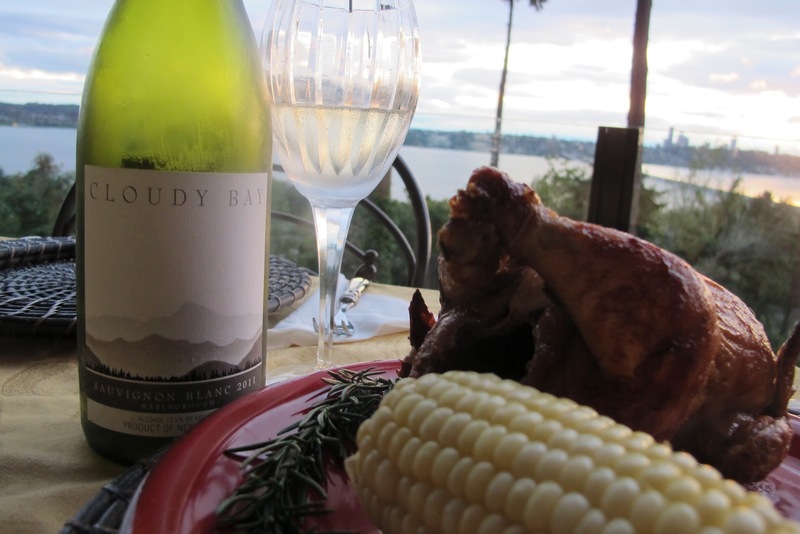 Pair it with a nice Sauvignon blanc or chardonnay. Salt and pepper the cavity of the hens. Stuff with a few sprigs of rosemary. 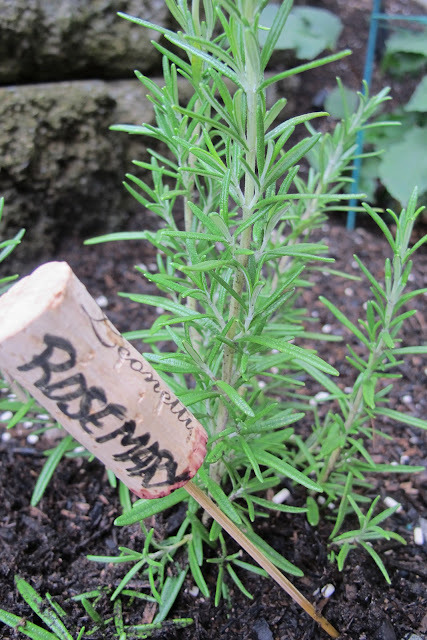 Soften the butter and add clipped rosemary. Stuff this mixture under the skin. It is important that you get the hens secured to the rotisserie rod as possible. This is the most challenging step in the process, but if you do it right you won't have any more trouble with it. Since a hen has many parts that are loose you need to secure not just the bird, but the legs and the wings. It is easier to place the hens on a platter or cutting board then run the rod through the bottom of the hens and out through the neck. Put the second fork on the rod, pointing towards the hens and bring it through. It might seem like you don't have enough hands for this operation but be patient. You need to make sure that the hens are tight on the forks before proceeding. Press the forks together, gathering up the legs and wings in the forks so that they are held in place. If you have a dangling wing it will flop around and likely burn, secure with kitchen twine. Once you have the hens secured, tighten the screws on the fork. I suggest you roll it around a little to make sure that the legs and wings hold. If you look at the picture above you can see I used kitchen twine to secure wings and tie legs together. I was serving 6, so the middle hen, really needs extra tying to keep it secure and prevent it from just spinning on the rotisserie. 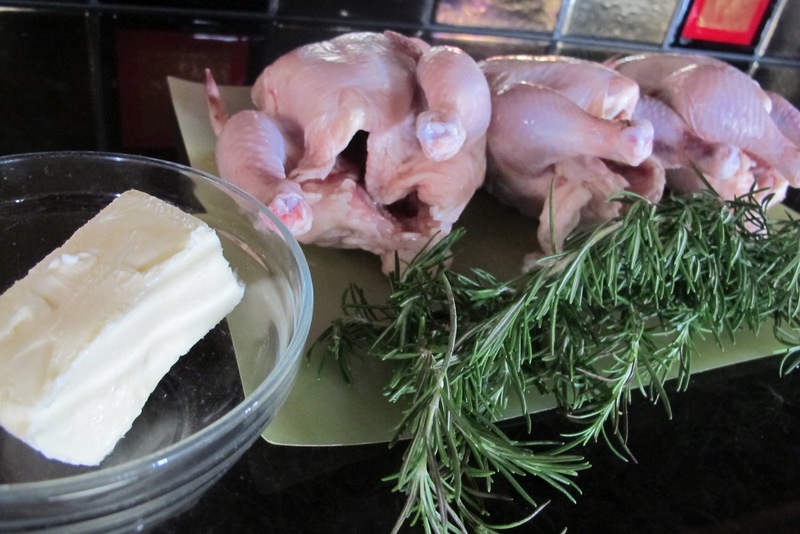 I purposely took this picture, to show you that the legs need to be tied, as you see the other hens on the skewer.. I cross the legs and tie with kitchen string. I also, tie the wings, wrapping around the entire body. Next put onto your rotisserie and turn it on! These will take about 30-40 minutes, with lid down and temperature about 400F.Check with a meat thermometer and take them off to rest at 165 F. An instant read thermometer is perfect for this! I serve 1/2 a hen to each person...........YUM!!! I paired with fresh corn on the cob and mushroom risotto from the June 13th blog, we left out the peas and asparagus and added mushrooms! Sweet One made it! The Cloudy Bay wine is quite good with this dish, and Wine on the Way carries it, or .... I should say "did", it is sold out, as did the winery!! I have since paired it with a wine that they do carry and it was spectacular!! 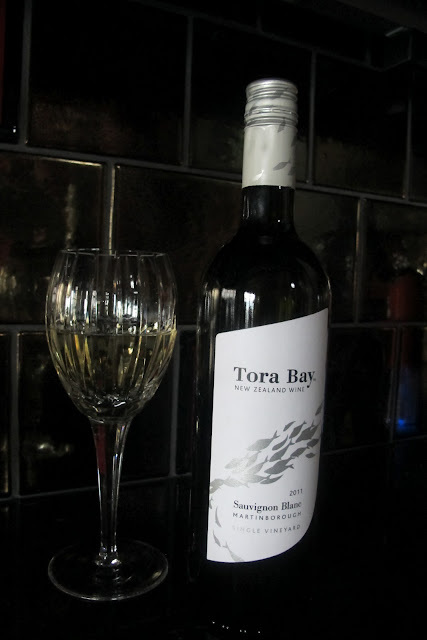 In the May 2012 edition of Wine Spectator, the Tora Bay Sauvignon Blanc 2011 was awarded the highest praise with 90 points. The Tora Rock of which many promote, is a superior wine to the standard Tora Bay. The Tora Bay vineyard is situated about 5km from the Martinborough Wine Village. This exposed site with free draining soils produces clean fruit with intense flavour. The palate reflects the lovely tropical aromatics and a small level of residual sugar is balanced nicely with just enough acidity. 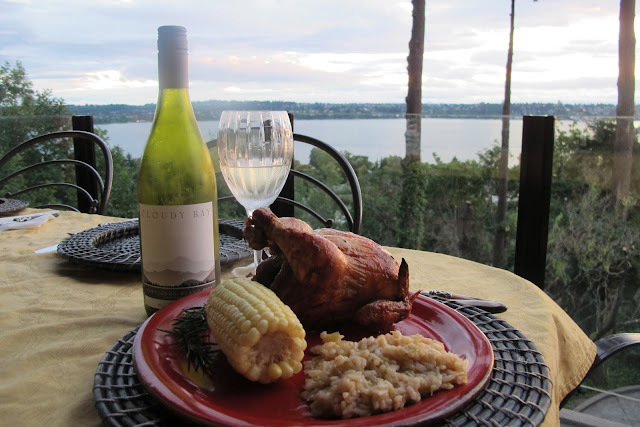 If you would like to order some of this delicious wine to pair with your rotisserie cornish game hen, please click on the Wine on the Way icon to the right! Remember FREE SHIPPING with any 12 bottles! Okay, many of my followers have asked me about the herb garden spikes I use with the wine cork. I must confess, it is not an original idea, and do not know who thought of it!! 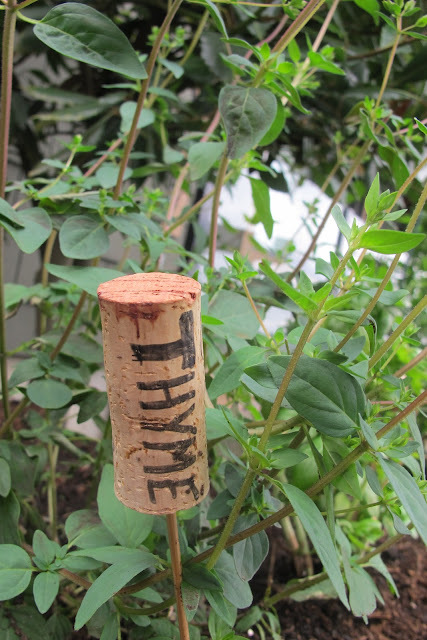 I saw it on Pinterest, and it looked pretty cool, for us, as we drink wine and have a ready supply of corks! 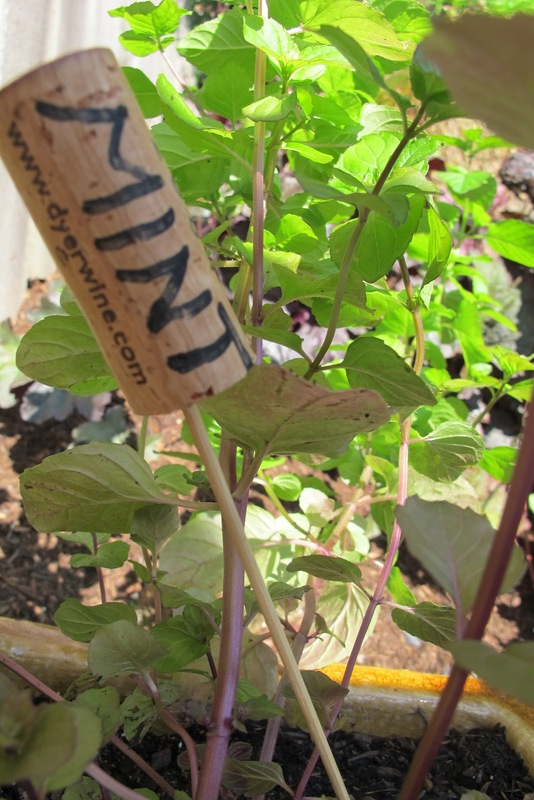 I used a bamboo skewer, put the sharp end into the cork and wrote the herb name on the cork. I am not sure what the originator used, as I saw this some time ago. Easy squeezy, lemon cheezy! !